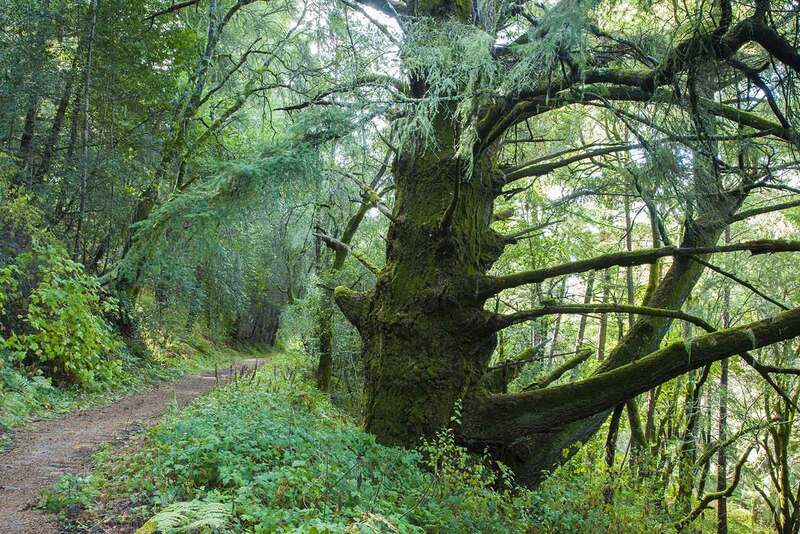 This popular loop hike combines trails from Portola and Pescadero parks and showcases the slightly different characters of the two parks: Portola feels a little more wild, while Pescadero feels a little more groomed. 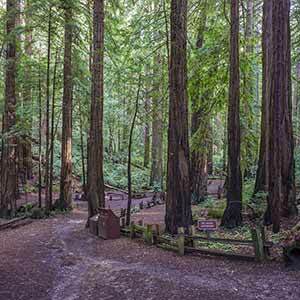 The route is entirely wooded but is less redwood-intensive than other area hikes — about a third of the hike is in the redwoods. Even though I’m a big redwood fan, I have to admit the variety helps make the hike more interesting. If you haven’t hiked in the Portola/Pescadero area before, this is a perfect introduction. From Skyline Road, take narrow, twisty Alpine Road to Portola State Park Road, which descends into Portola State Park. 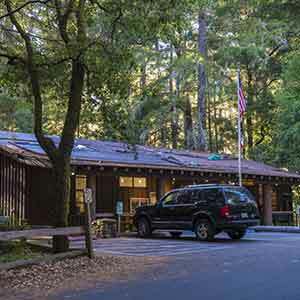 Park at the Madrone picnic area, near the Portola Redwoods visitor center; you’ll have to pay a parking fee in the visitor center. You can also start at the Tarwater Trailhead, where the parking is free, but then you’ll be starting at the highest point of the hike instead of the lowest. 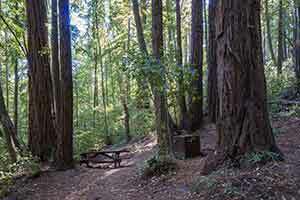 Begin on the Iverson Trail, which starts just across from the Madrone picnic area, a few steps north of the Portola Visitor Center. After just a few yards you come to an overgrown vista point, perched on a bluff above Pescadero Creek but with the view obscured by trees. The trail is more or less level until, after a few tenths of a mile, the Iverson Trail breaks off to the left. 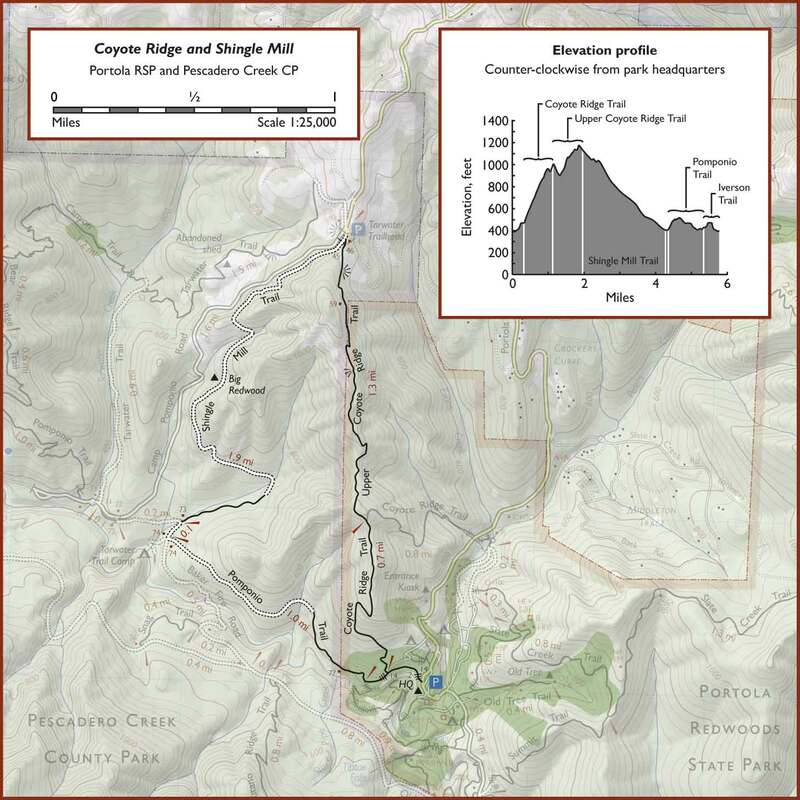 Continue straight on the Coyote Ridge Trail, which immediately begins to climb at a 14% grade. 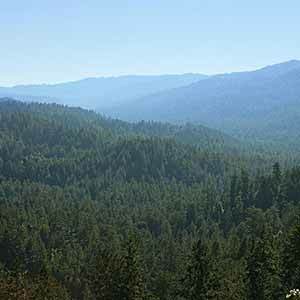 The redwoods quickly give way to attractive mixed-species woodland, although you’ll continue to encounter pockets of redwoods. 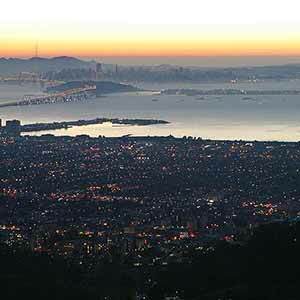 The Coyote Ridge and Upper Coyote Ridge Trails have the best scenery of the hike, but depending on the weather conditions, the distant sound of gunfire from the Los Gatos Rod and Gun Club may intrude on the peace and quiet. 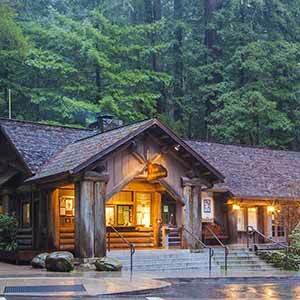 Fortunately these sounds can never be heard from the visitor’s center and campground area. Stay left at the trail junction with the Upper Coyote Ridge Trail, after which point the trail is less well-maintained but just as scenic. The trail crests over a redwood-covered knoll and descends slightly, then resumes its ascent. At one point the woods open up and there are some nice glimpses of conifer-clad Butano Ridge rising high over Pescadero Creek to the south, and Skyline Ridge with its brown grassy meadows to the north. Near the end the trail becomes somewhat overgrown, with some poison oak overhanging the trail. The trail ends just a few yards from the Tarwater Trailhead parking area. Turn left onto the Shingle Mill Trail, which was originally a dirt road but now looks like a singletrack trail. The sounds of gunfire, if they could be heard before, disappear almost immediately. The trail descends gently through lush, attractive woodland. 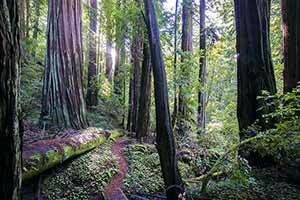 Two huge trees stand by the side of the trail, the first a spruce and the second a single, immense redwood. 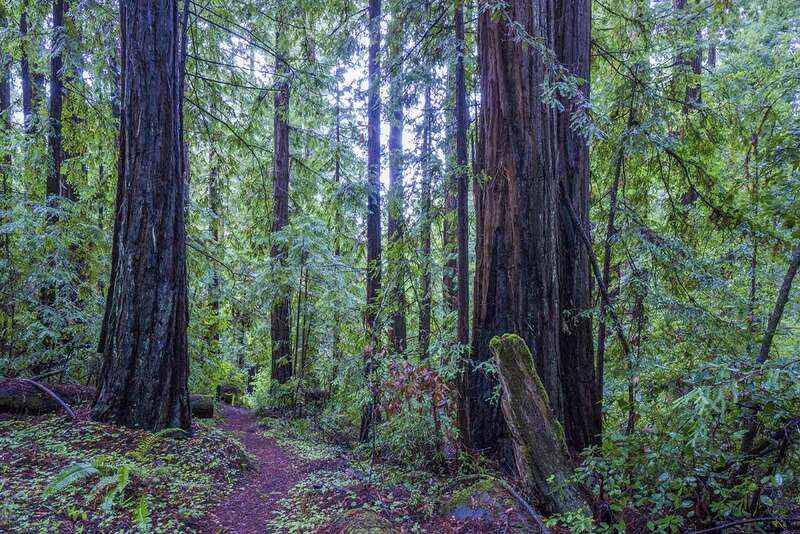 Eventually the trail descends into a grove of heavily-logged redwoods. While it’s normally dark and gloomy, after a rainfall this area becomes a lot more attractive. The logged forest gives way to much more scenic, possisbly old-growth redwoods just a few yards before the trail ends. At the end of the trail, turn left onto the dirt road. The woods here are fairly open and there are some nice views of redwoods rising arrow-straight toward the sky. The redwoods here aren’t very big but have the noble look of old growth. 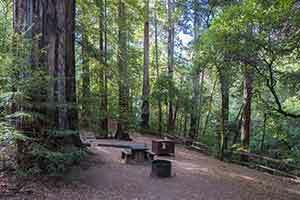 A few paces brings you to the Tarwater Trail Camp junction (the road to the right descends to the campground, which is located on a pleasantly quiet, shady flat among redwoods and huckleberry shrubs). Turn left onto the Pomponio Trail. 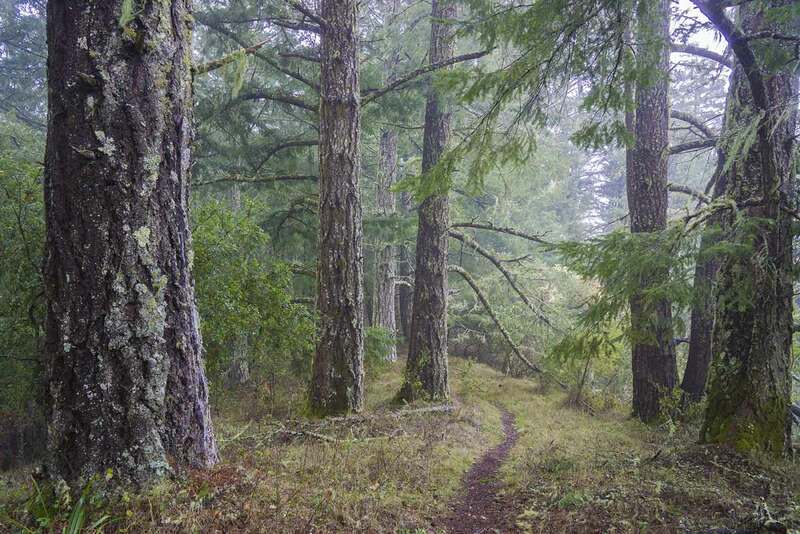 Although this trail isn’t all that scenic, it does go through an interesting and rather sudden transition from Pescadero’s bright, open forest into the dense, huckleberry-clogged forest that’s characteristic of Portola. The next trail junction is the Iverson Trail. For a quick return to park headquarters (as shown on the map above), continue straight. 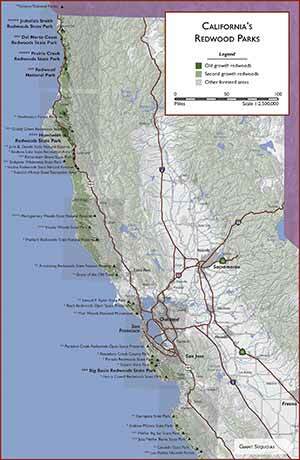 In summer, you can extend the hike by turning right onto the Iverson Trail and descending to Pescadero Creek. A seasonal footbridge takes you across the trickling waterway, which in winter can become a raging torrent. 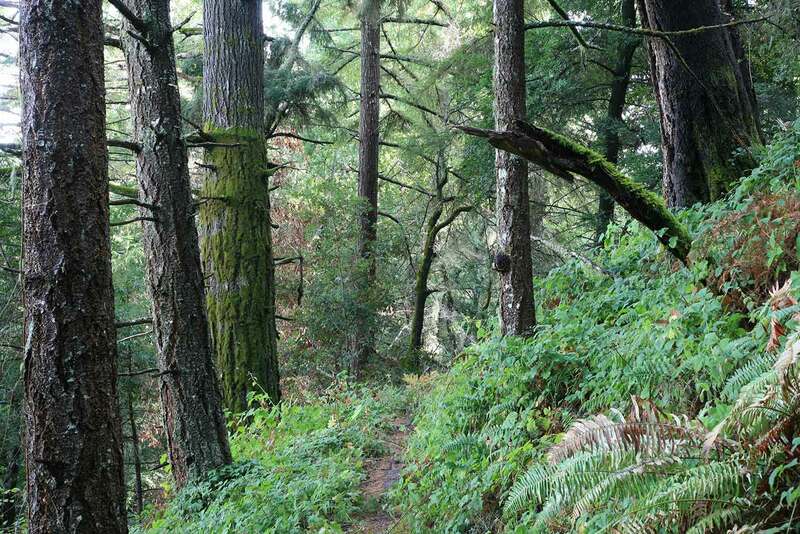 The trail climbs through redwoods on the south bank, ending up high above the creek. Stay to the right at the first intersection. After undulating a bit, the trail descends to another intersection. Turn left and wade through the creek, which is only about 6–12 inches deep in summer. Ascend the steps on the opposite bank and stay to the left at the next intersection. Turn left when the trail ends at the main park road, and continue along the road to return to the starting point of the hike.